Since its inception in 2008, the CT Foundation for Dental Outreach and the CT State Dental Association have held Connecticut’s Mission of Mercy project, known as CTMOM, in a different areas of the state. 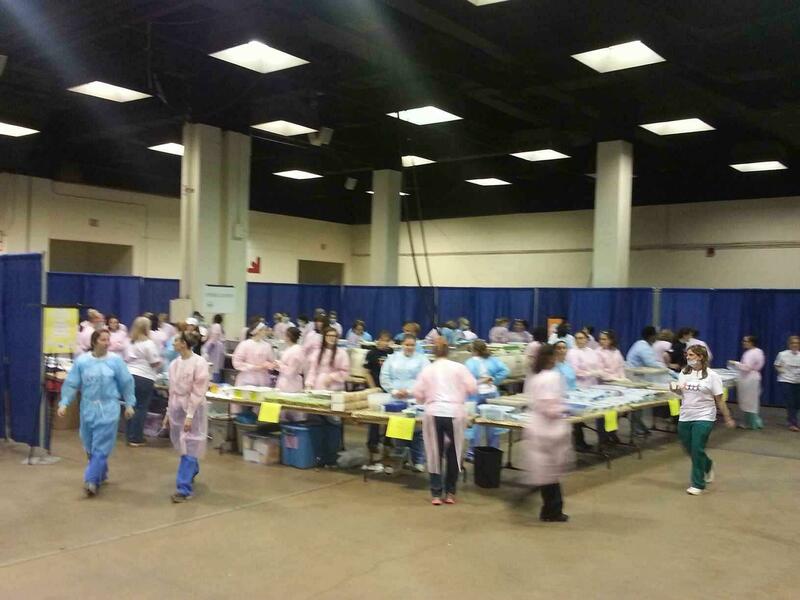 During the weekend of April 25th, 2014, the XL Center in Hartford, CT was transformed into CTMOM’s large dental clinic. Each year, the two-day clinic provides free dental care to uninsured and underinsured patients. The patients, seen on a walk-in basis, had been waiting in line outside for many hours before the clinic began. As they walked to the registration area carrying folding chairs and umbrellas, they were escorted downstairs to the medical triage area. The friendly escorts then brought the patients to different departments located around the XL center, including radiology, hygiene, oral surgery, and endodontics. The convention center, complete with live music playing in the background, was bustling with patients and medical teams. Bilingual volunteers served as medical interpreters, assisting patients throughout the duration of their procedures. CHC’s own information table, run by the AmeriCorps Members, was one of many tables providing giveaways, and information on healthcare services and local health centers. As the patients traveled throughout the clinic with their escorts, they shared their stories. Each patient was so thankful for the services they received and left the XL center smiling, shaking the hands of their dentists warmly. This year, 2,295 patients were seen and almost 1.6 million dollars’ worth of dental care services were donated! Being a part of this year’s clinic was a truly inspiring experience. Community volunteers, dentists, and other healthcare professionals came together, working like a well-oiled machine to provide thousands of patients with quality dental care. By the last day of CTMOM, many volunteers were already looking forward to next year’s clinic. In fact, the planning for next year’s CTMOM dental clinic has already begun! 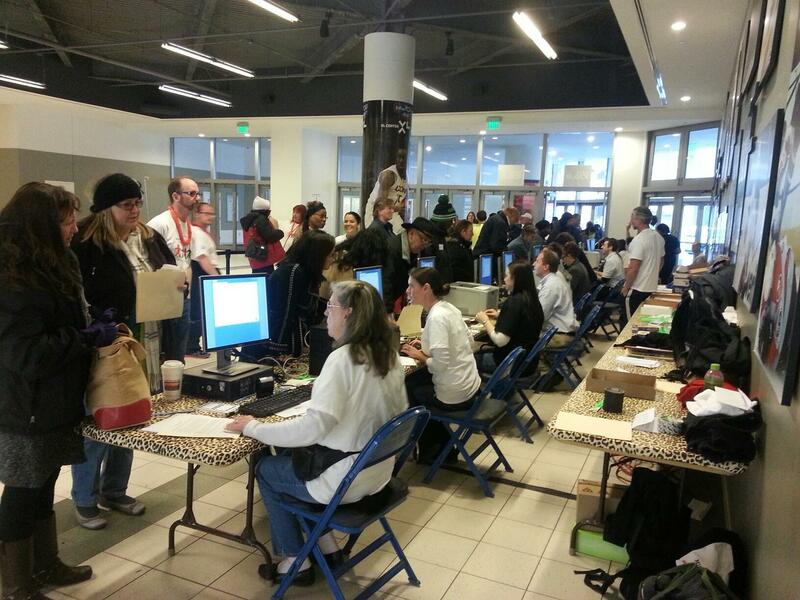 CTMOM 2015 will take place on March 20th and 21st in Danbury at Western Connecticut State University. Visit the website for more information on how to get involved!